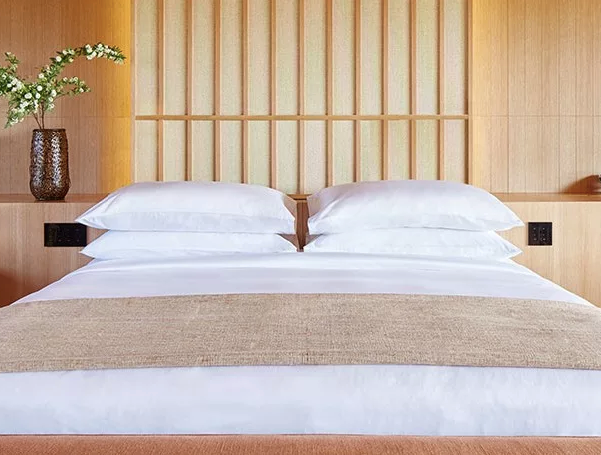 Amanemu's rustic ryokan-influenced retreat fuses Japan's ancient hospitality rituals and the aesthetics of Japanese design together with modern living in the hot spring UNESCO trails of Mie Prefecture. 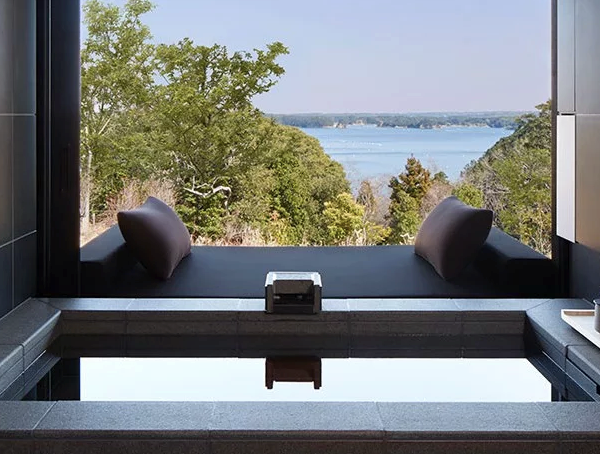 One of Japan's top luxury wellness destinations, the resort boasts three award-winning Wellness Immersion Programmes embedded with cultural therapies and rejuvenating treatments. Each Wellness Immersion is carefully calibrated to address individual aspirations, offering a completely personal and tailormade service that begins and ends with a private consultation. In addition to the initial assessments and regular consultations, every day of the individual immersion will be personalised to include two to three private therapies with a specialist, a 60 to 90-minute spa treatment at the Aman Spa, and group movement sessions. Unrivalled nutritional support and education lie at the core of each Immersion: every meal is created with your goals in mind, while the latest knowledge in fitness, nutrition and health is shared to ensure your journey continues when you return home, with our continued support. This retreat is also available for mindfulness, relaxation and stress control; or health, beauty and anti-aging. The retreat is available for 3-14 nights—please enquire for details. Guided by the rustic Minko style, all of the 24 suites have private onsen baths. With traditional Japanese design, they provide a clean, luxurious and comfortable setting for peaceful rest and sleep. Amanemu's award-winning restaurant focuses on serving exceptional Japanese food, although some Western dishes are also available. Due to the varied microclimates of Mie Prefecture, local suppliers are able to provide delicate fruits such as Nabari melons, an array of vegetables, as well as the renowned Matsusaka beef and a variety of fresh seafood, including lobster and abalone. All served with a view of pearl rafts and the surrounding forests, it's the ideal place to discover Japan's incredible cuisine. Prices vary depending on season and availability—please inquire with your dates for an accurate quote. Please note prices have been converted to USD from their local currency and may alter with exchange rates. Taxes are not included. Immersions are valid for new bookings only and are subject to availability. They are not combinable with any other exclusives. Rates are based on single or double occupancy only. Extra bed for children under 12 (Maximum two adults and one child below twelve in the same room) will be arranged free of charge. Guests must cancel 7 days before arrival. In the event of an early departure or no show, two nights plus tax will be charged. Credit card details are required to guarantee the reservation. US$ rates are converted to local currency at the time of billing. By Ago Bay, and set in Ise Shima National Park with a natural hot spring onsite, Amanemu is a natural haven. Nagoya airport is a 2.5-hour drive, while Osaka airport is three-hours from the resort. The ancient Imperial capital of Kyoto is around a three-hour drive, for those wishing to explore beyond the resort.